Albert, D., & Held, T. (1994). Establishing knowledge spaces by systematical problem construction. In D. Albert (Ed. ), Knowledge structures (pp. 78–112). New York: Springer Verlag. Albert, D., & Held, T. (1999). Component based knowledge spaces in problem solving and inductive reasoning. In D. Albert& J. Lukas (Eds. ), Knowledge spaces: Theories, empirical research applications (pp. 15–40). Mahwah, NJ: Lawrence Erlbaum. Bouzeghoub, A., Defude, B., Duitama, J.F., & Lecocq, C. (2006). A knowledge-based approach to describe and adapt learning objects. International Journal on E-Learning, 5(1). Doignon, J. (1994). Knowledge spaces and skill assignments. In G.H. Fischer& D. Laming (Eds. ), Contributions to mathematical psychology, psychometrics and methodology (pp. 111–121). Doignon, J.P. & Falmagne, J.C. (1999). Knowledge spaces. Berlin: Springer. Dowling, C.E., & Hockemeyer, C. (2001). Automata for the assessment of knowledge. 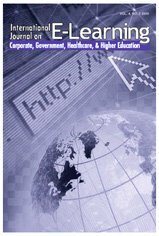 IEEE Transactions on Knowledge and Data Engineering, 13, 451–461. Falmange, J.C., Koppen, M., Villano, M., Doignon, J.P. & Johannesen, L. (1990). Introduction to knowledge spaces: How to build, test, and search them. Psychological Review, 97, 201-224. Heller, J., Mayer, B., Hockemeyer, C., & Albert, D. (2005). Competence-based knowledge structures for personalised learning: Distributed resources and virtual experiments. In G. Albano, P. Ritrovato, & S. Salerno (Eds. ), Proceedings of the 1st International EleGI Conference on Advanced Technology for Enhanced Learning. Swindon Wiltshire, UK: The British Computer Society (BCS). Hockemeyer, C. (2003). Competence based adaptive e-learning in dynamic domains. In F.W. Hesse& Y. Tamura (Ed. ), The Joint Workshop of Cognition and Learning through Media-Communication for Advanced E-Learning (JWCL), 2003, 79–82, Berlin. Hockemeyer, C., Conlan, O., Wade, V., & Albert, D. (2003). Applying competence prerequisite structures for eLearning and skill management. Journal of Universal Computer Science, 9, 1428-1436. Korossy, K. (1997). Extending the theory of knowledge spaces: A competence-performance approach. Zeitschrift für Psychologie, 205, 53-82. Korossy, K. (1999). Modeling knowledge as competence and performance. In D. Albert& J. Lukas (Eds. ), Knowledge spaces: Theories, empirical research, applications (pp. 103-132). Strijker, A., & Collis, B. (2006). Strategies for reuse of learning objects: Context dimensions. International Journal on E-Learning, 5(1). Türker, A., Görgün, I., & Conlan, O. (2006). The challenge of content creation to facilitate personalized eLearning experiences. International Journal on E-Learning, 5(1).